This book comprises an undergraduate monograph an essays written in the mid 1990s. The central theme sets up and critically examines the need to examine the work of the anarchist punk band Crass in light of a poverty of discussion of their activities in previous cultural studies writings on punk. Equally, notions of endpoints in underground cultures are put to the question. The broad thesis of the monograph interrogates links between critical theory and Frankfurt school perspectives on art and subversive culture and Neo Marxist accounts of their phylogeny. There is critical discussion of the tension and similarities between Crass and Neo Marxist accounts of the role of dominant ideology (traditional notions of false consciousness/media effect) in contrast to the cultural monopoly of survival needs as the central motor of social reproduction in capitalist culture. 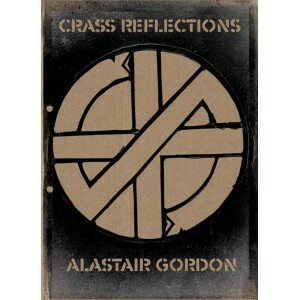 The monograph concludes with a discussion of the importance of the legacy of Crass and the need for future research. This monograph was written before the groundswell of punk scholarship in its wake and serves as vindication of its obscure and early importance. It’s principle importance lies in the fact that most accounts beyond this work have focussed not on critical theory but instead on historical contextual salience, aesthetic value and biographical detail. This new edition comprises a new extensive introduction assessing methodological approaches in punk scholarship and examines the stormy DiY publication and contextual history of the original monograph. Moreover expanded versions of an original chapter is included in addition to essays on subversive culture, the 1982 Falklands conflict and an examination of philosophical approaches to repressive technologies.